WASHINGTON -- Negotiators are working feverishly and President Obama has a pen at the ready, but whether a permanent repeal of the widely disliked "sustainable growth rate" (SGR) formula for Medicare reimbursement can happen this week is still up in the air. Wait. The house and the President are interested in the same thing passing. In health. What the... is SGR. SGR is a process Congress created in 1997, to restrain the cost Medicare pays doctors. The idea is that growth in Medicare cost should be linked to the growth rate in the US economy. SRG triggers cuts in physician payments if doctor costs exceed targets. It is very formula heavy. Congress has to March 31 to step in before there are cuts to doctors for seeing Medicare patients. Those cuts would be over 20%. The fear is then that doctors would stop seeing Medicare patients. For the last decade, Congress has prevented these cuts with short term fixes. The Brookings Institute says, “However, since 2002, Congress has stepped in with short-term legislation (often referred to as the “doc fix”) to avert the payment reduction. These patches have kept increases in physician payments below inflation over time.” There are voices calling for a longer term process as well as those less concerned with regular consideration congressional action. There are concerns over the SGR patch process as well. For example, since payments are on a fee for service basis they encourage volume of services billable Medicare over quantity of care. The process does not consider doctors or practices based on performance. Cuts may limit seniors access to care. Because Congress has consistently passed SGR patches, the legislation often attracts other issues as riders. CHIP programs for children and funding for the Special Diabetes Program are advocacy priorities of the American Diabetes Association and JDRF. FAQ: What’s in the House proposal to fix the SGR? In "Experts call for transparency on insulin pump problems" - Kathryn Doyle - Reuters, there is a call for better data on insulin pump errors. It would be easy to read into this that pumps increase risk. I doubt that is the case. All the data I have seen suggest that people on pumps do better with their diabetes management. So when talk of Insulin Pump Problems, should be made in the context of insulin. Taking Insulin is risky - Diabetes is a Problem. Pumps are an imperfect but valuable mitigation of diabetes and its risk. I would hope/think that clear direction on Medical Device Reports (MDR) to FDA and access to those MDRs would be useful in getting the information needed. I ma reasonably confident that pump companies are diligent about MDRs. Yes - Data is useful, so are pumps. Insulin is dangerous and THAT should be kept in mind when talking about pumps. People on pumps do better. So how about transperencey on insulin problems too? No throwing the baby out with the bathwater. Full disclosure: I was and am a believer. I was part of the planning. I was a facilitator. I am an officer of the The Diabetes Collective, Inc... In short, I had high expectations. The magic was the high degree of attention we gave to each other. We were there, not on our phones. A huge part of success was respect and trust. To keep the resect for other's stories and the trust they invested in me by sharing those stories, I will only share my experiences. I hope others choose to share theirs as well. That is their choice. I can say, I was moved by the stories shared. 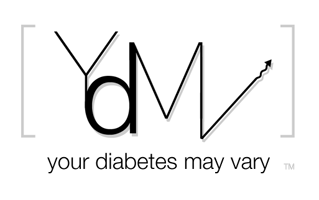 I have heard a lot of diabetes stories, none were more moving. I was empowered by the stories I heard, engaged by the trust of sharing them and honored to respond by sharing my story, knowing it was safe to do so. I was even more moved to be allowed to hear, hold, and help. Oh and pass the Kleenex. Nobody every asked to have diabetes. Nobody. It is a disease. In every case, disease. I was moved by a metaphor I picked up at the UnConference. I will use it, a lot. Diabetes is complex patch work quilt of metabolic diseases. That is true of all diabetes and that makes it an even better mental image. Rationally, I know that. I have been a patient reviewer of scientific grants by both PICOR and CDMRP. In my role for them, I was in rooms with a dozen and a half PhD physicians reviewing scores of research proposals. Each looked at a part of the patchwork of health. Those were intense intellectual process - detailed, rational, clear examinations of the finest threads of the various patches of life's quilt. By the nature of science, those are cold processes. 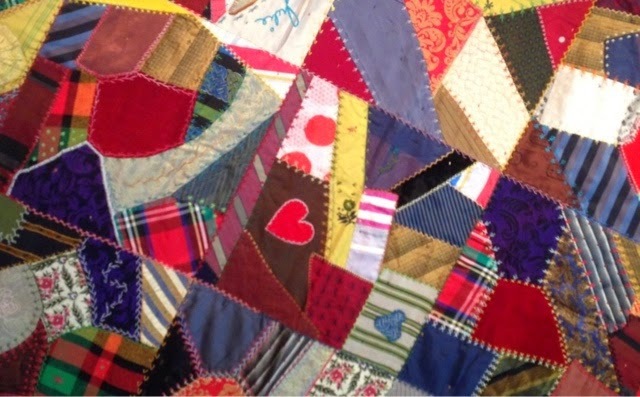 I felt the warm comfort of the quilt at the UnConference. I was a patch, at teeny piece of cloth, in a multi color mix of parts new and old. Collectively we were so much more than scraps. Together we became a blanket of almost two thousand years of individual experience of living with diabetes. It feels great to be embraced by two millennia of wisdom. It is an UnBelievably good feeling to be able to help old friends, particularly the you just met. I was trusted to hug, hand hold and say it not your fault. I could draw on those rooms full of PhDs and their microscopic views to say with confidence, this isn't your fault. It is mix of metabolic diseases and we made a quilt. A warm embracing patchwork that a seemstress makes something amazing from what other may see as scraps. I look forward seeing other share their experiences and together we will patch together thee UnConference story. Mike Lawson Video May Vary - Bigfoot Say - Tell Best! Bigfoot BigCelebrity, so incognito as Katy. Want DOC Share their favoritest from Mr. Mike Lawson Video Library. Go here. Post in Comment. Like Blog Carnival.